The Royal Academy of Arts has invited seven of the world’s major architectural firms from six countries across four continents to create installations to showcase their work in this new exhibition, which opened this past weekend. Stirlng Prize nominees, Grafton Architects, Li Xiodong, Eduardo Souto de Mouro and Alvara Siza are amongst the contributors. Make a date. 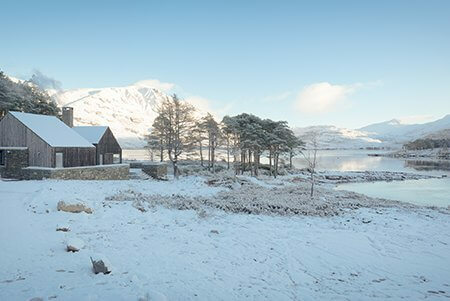 Commissioning Janine Stone & Co.
A humble cottage on the edge of a lake in the Scottish Highlands has been named as the UK’s best house of 2018.